A native of Kennesaw, GA, Mary attended Indiana University as a student of Paul Biss, and subsequently, Rice University as a student of Kathleen Winkler. After completing her Masters degree in 2007, Mary performed as a freelance musician in Houston before winning positions with both the Houston Ballet and Houston Grand Opera Orchestras in 2010. 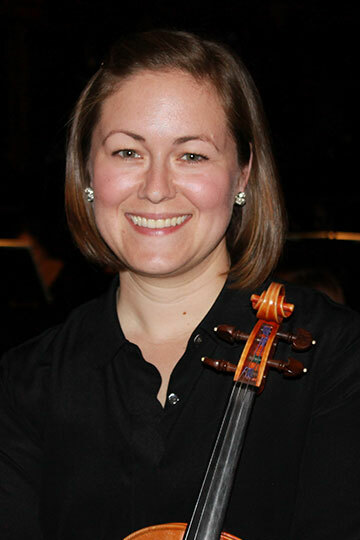 As a student, Mary was selected to attend festivals such as the Meadowmount School of Music, the Advanced Chamber Music Program at Brevard Music Center, and the National Orchestral Institute. As a professional, she has enjoyed performing with the Grand Teton Music Festival in Jackson, WY, and the Cabrillo Festival for Contemporary Music in Santa Cruz, CA. Mary lives in Houston with her husband, horn player Gavin Reed, daughter Ellen, and their Boston Terrier, Charlie.